For the tutorial I used the OPI Live.Love.Carnaval and Alpine Snow polish lacquer’s and included links to buy them below. 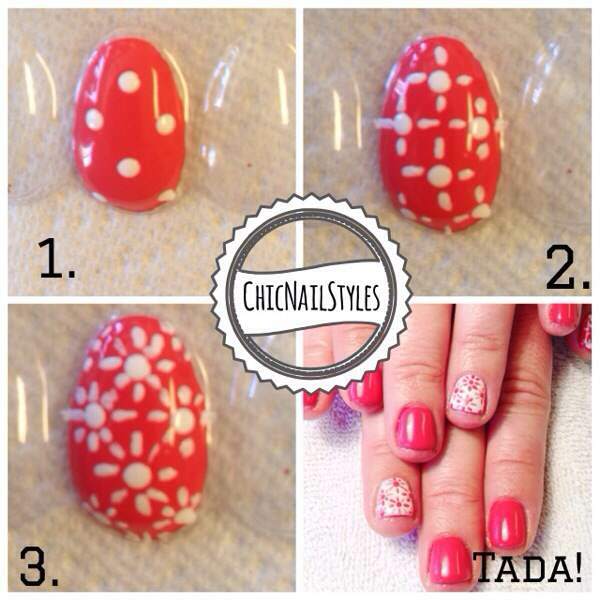 You just need a stylus dotting tool, small to medium sized, and a thin nail art brush. Make small, light strokes so you don’t get “gobs” of the polish on the petals. Depending on the length of the nail you might need to add a few flowers or remove a few. You are basically just doing a grid pattern with the flowers. A lot of designs can be easier to do if you think about dividing the nail bed into a grid or using “the rule of thirds” like they do in photography. My husband actually uses grids for web design. It’s a common practice with artwork and nail art is no different. Some patterns are definitely more random than others but if there is slight uniformity to the design it is more pleasing to the human eye. Anyway, if you have any questions about this design or any others let me know! I love hearing from my readers! 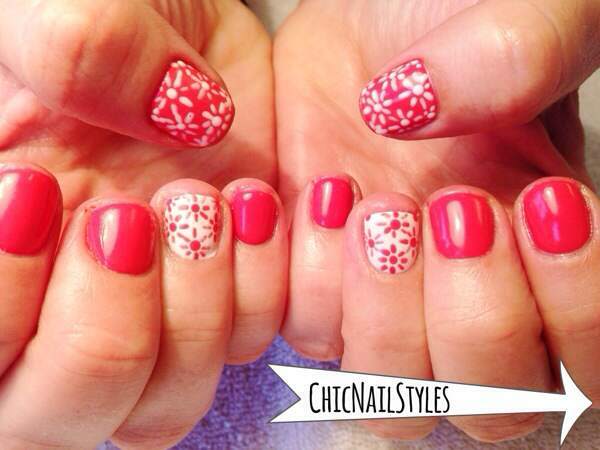 This entry was posted in Chic Nails, Gel Polish, Nail Art, Nail Polish and tagged Alpine Snow, coral and white, Gelcolor, live.love.carnaval, nail polish, nailart, OPI, polish lacquer, spring, spring nails.